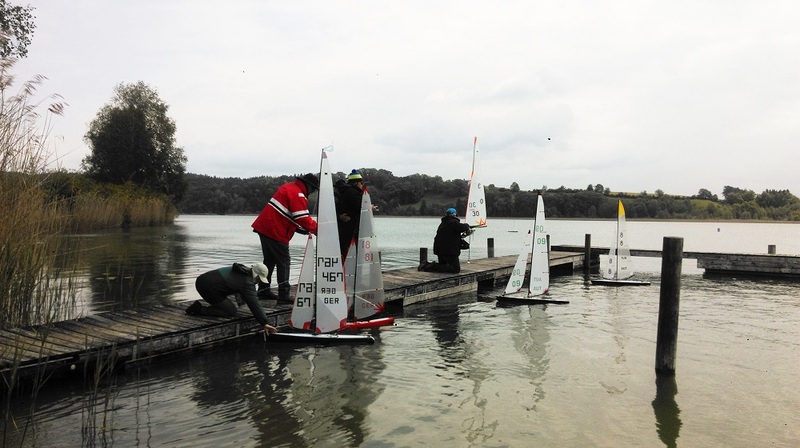 3-5 of June Kolin sailing club is organizing in Marianske Lazne an international regatta in two classes. 3.06 races in F5-E/IOM class were held. 11 participants from Czech republic, Austria, Poland and Ukraine took part. Despite small quantity of fleet, its quality was at the high level. Low tricky wind was not the best for my Fractal2. Despite better speed with new fin, it looses speed quick while turning due to its middle hull shine. With more stable wind conditions, I think it will show better results. 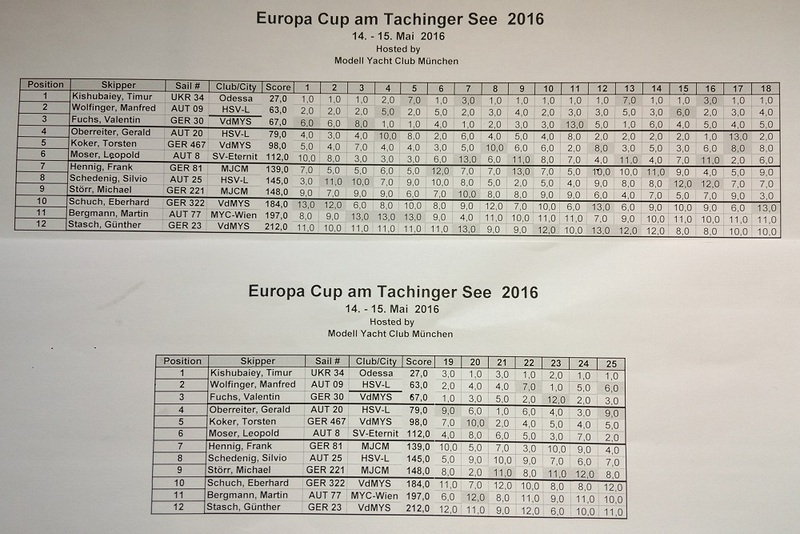 Next days - 04 and 05.06 were F5-M class races as 4th stage of Europa Cup 2016. 13 competitors from Czech republic, Austria, Germany, Poland and Ukraine took part. The wind mainly was very light and tricky. Sometimes it changed to opposite direction and back during one race. My Skalpel performed better from race to race and I was ready for these conditions. 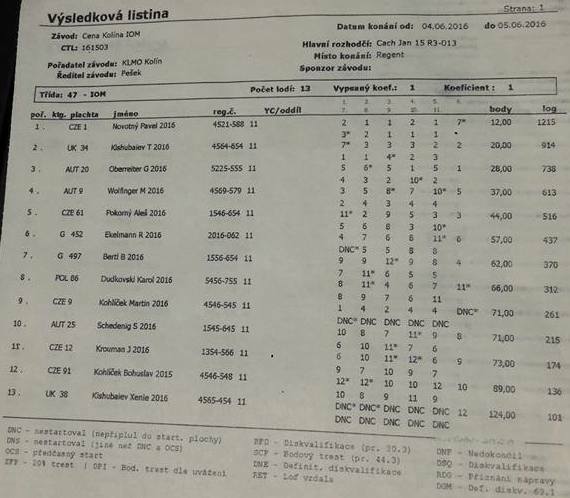 However, Pavel Novotny with his fine tuned and swing rigged with sails of walicki size and walicki profiled mast "Little monster" boat was the fastest and won competitions with big handicap. 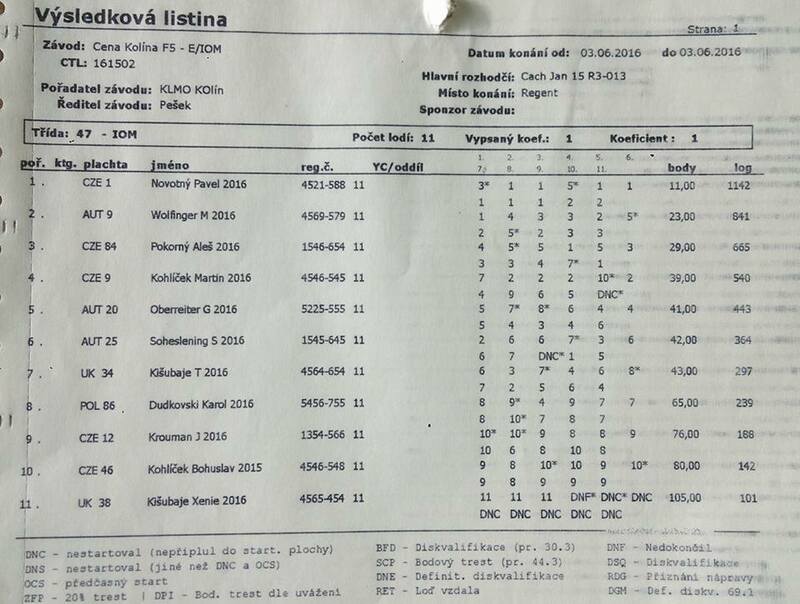 Martin Kohlicek was also on top during first day and we ended it both with 11 points sharing 2-3 place. Unfortunately, during second day Martin didn't compete as he felt sick. Hope he is better now. 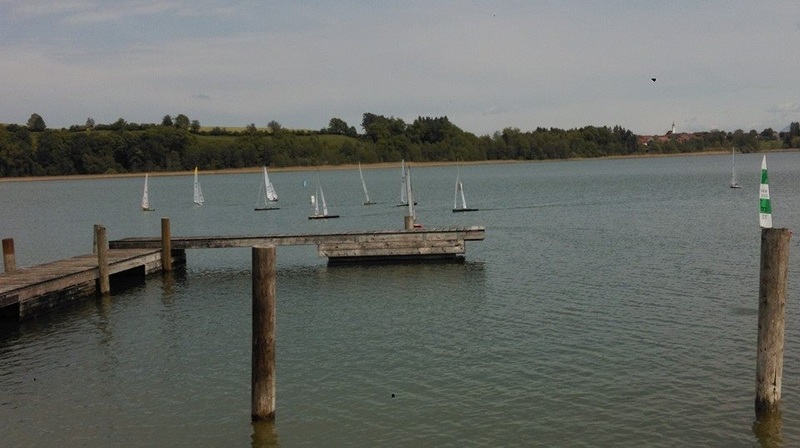 Gerald Oberreiter was sailing quite well by winning 2 races and finished 3rd in overall. Manfred Wolfinger AUT 09 and Ales Pokorny CZE 61 made a strong concurrence to leaders almost in every race and finished 5th and 6th accordingly. Congratulation to winners and thanks to all organizers and competitors for fineand friendly event in a beautiful place of Regent Sailing Club near Marianske Lazne! And the Europa Cup ranking now is looking like this. 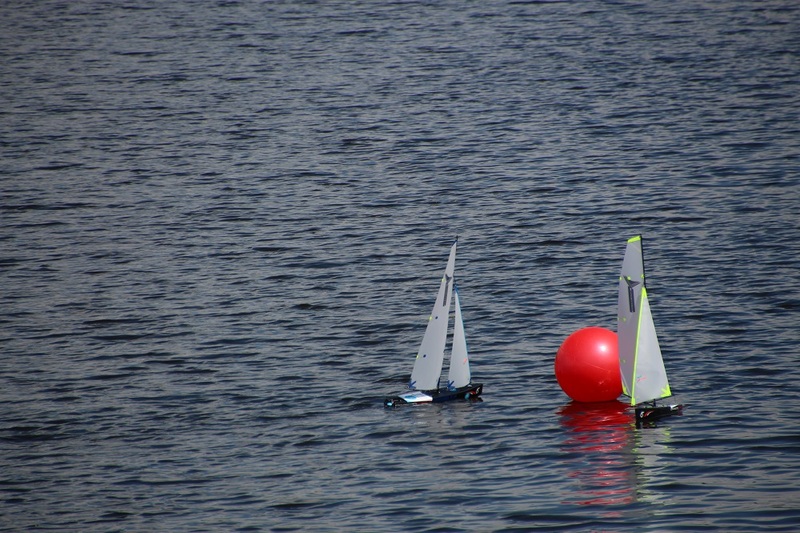 During 14-15 of May weekend traditional Taching Europe Cup regatta was organised by Munich model yacht club. 12 competitors from Germany, Austria and Ukraine competed in one heat. First day started with rain. The forecast was also very rainy. However, in the middle of the day the sun appeared and succeeded to bronze everyone's face till the end of racing day. The wind was shifty by direction and force. From none to upper range of A rig, sometimes with nose diving. 2nd day the weather was mainly sunny and windy. Sometimes it rained a bit. Almost all the day everybody sailed B rig, but few times A rig could be better and those who changed it quickly gained some profit. First 6 skippers didn't change their position after first day. Me also, I even managed to take 6 wins in today's 10 races with one second and three third places. In total - 17 wins in 25 races. Very good result in a company of such experienced competitors. Congratulations to Manfred with 2nd place and Valentin with 3rd. All other skippers also didn't let leaders to breathe free and the concurrence in each race was very tight and situation changed quickly during the race. Thanks a lot to organisers - Modell Jacht Club Munich that made this fine event and let us feel their hospitality and friendship. 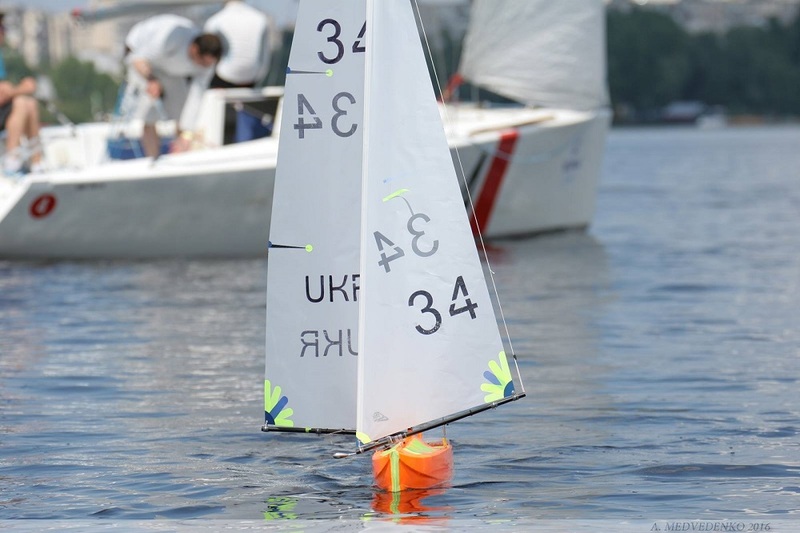 7-9 of May in ukrainian capital Kiev at Obolonskaya embankment the major Sailing Event Hetman Cup 2016 took place. The main event was big boats ISAF grade 2 match races. Radiosailors also joined this fest. During all event everyone had a possibility to drive Dragon forces in a pool. 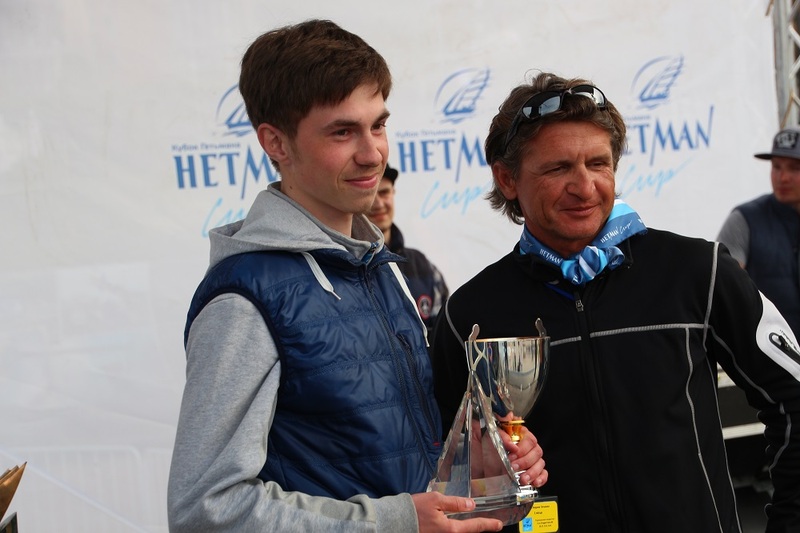 And during 8th of May radiosailing regatta for Hetman Cup 2016 took place also in a form of match-races in Dragon Force 65 class. As far as three skippers had 3 wins, there was an additional race for them to determine winners. Congratulation to winners and many thanks for organisers of Hetman Cup 2016 for this bright event!